The tool for the developers to incorporate APIs in application. API Manager: virtualize and manage APIs. API Manager is the tool for onboarding new developers, sharing data with new partners, to securely enlarge the sphere of your organization's digital ecosystem. Visual Mapper converts incoming data for the purpose of easily delivering ready-to-use data output to your applications. You can visually build transformation functions to compute new output values based on several combined inputs. 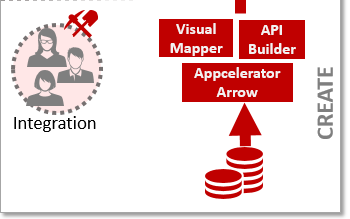 API Builder: Build and deploy new API endpoints for consumption by any client application. to come to terms with retirement.